And on reciting the Qur'¡n. And bless Mu¦ammad and his Household, the good, the pure. My Lord and your Lord is Allah, the Lord of the worlds. 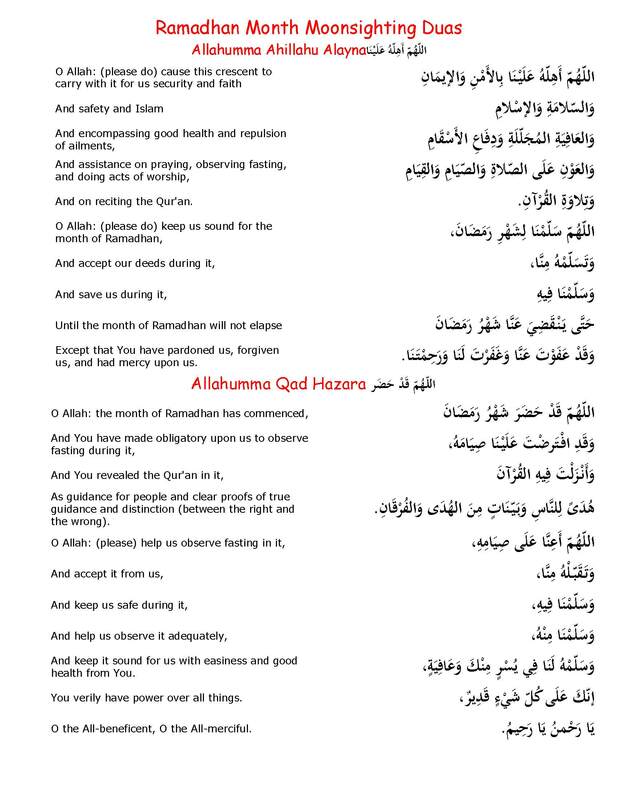 O Allah for us let this month be a period of peace, faith, safety and total submission to Thy will; make us walk apace swiftly to that which Thou likes and approves. 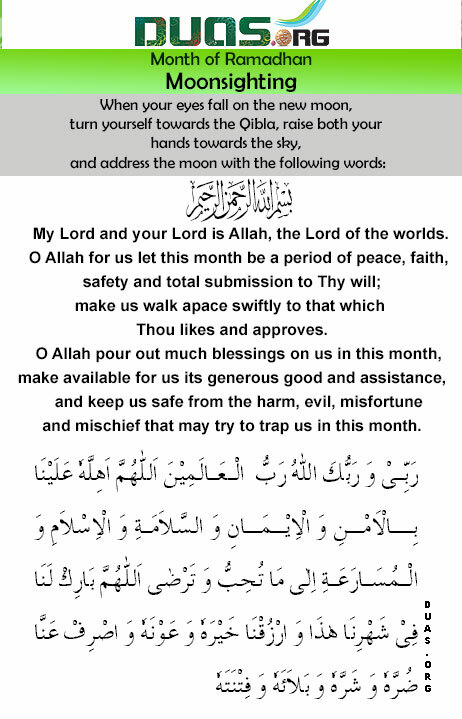 and keep us safe from the harm, evil, misfortune and mischief that may try to trap us in this month. Except that You have pardoned us, forgiven us, and had mercy upon us. O the All-beneficent, O the All-merciful.